Orca is in foster care near Fleet, Hampshire. He is a medium size, stocky, can be timid, white and black boy who was born on 16th October 2013. 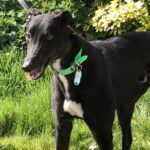 Orca needs an owner who is confident and is experienced around sight hounds. He finds dealing with crowds difficult and responds very well to 1:1 attention and care. He will use a crate as a ‘safe’ place to sleep and rest and this is a must for his new home. 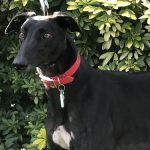 He needs an owner who has had experience of dealing with wary, scared and which can lead to unpredictable behaviour. 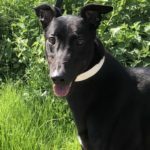 Orca will learn to trust his confident owner and he will look for reassurance, structure and boundaries which he currently thrives on. 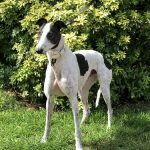 He enjoys going out for walks but can get spooked by sudden movements, noises or people, he can therefore become stronger on the lead. He is happy to get into a car and settles down very quickly. 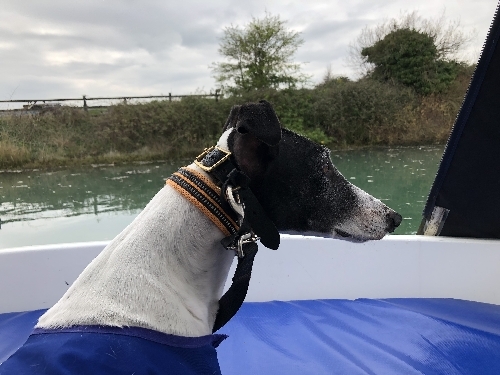 Orca has recently been on a boat trip with his foster family, which he was unsure of to begin with but soon got use to the noise and movement of the boat. One happy sailor boy in the making! To read Orca’s sea story please use the below link. Orca was very clever that day and made a little film of himself enjoying the scenery whilst exploring the harbour. Please click below to watch it. He enjoys playing with cuddly toys and polishing his bowl at meal times! 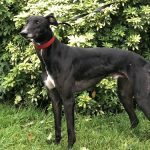 He will need a no nonsense owner and who will take onboard the advice given by his foster family. 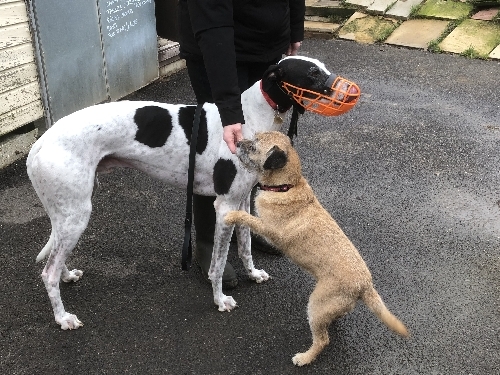 Orca has met other breeds and with carefully introduction could live with a non dominant smaller or larger female dog or a female greyhound as a friend. He would be best suited in a quiet home with no children and with somebody around for part of the day. 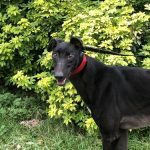 Orca is currently wary of sudden movements and people, once he builds up his trust with you he will enjoy having a stroke or two! 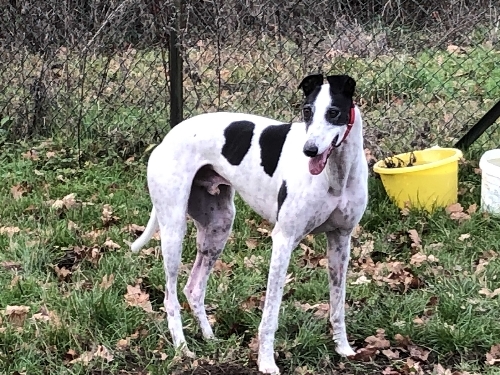 His new owner needs to be prepared to put the time in to support Orca building up his confidence which will unlock his true character. 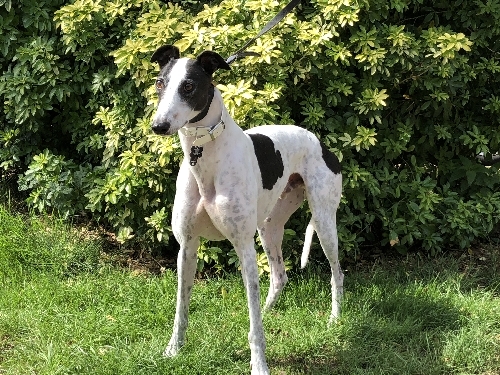 Are you an experienced sighthound owner? 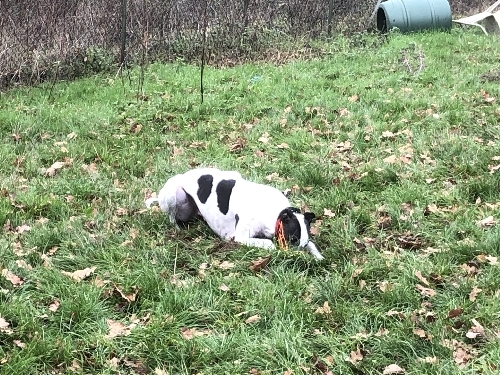 Are you looking to take on another dog? 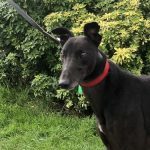 If you are intrigued by this special boy then please ring our adoption line and we can discuss him further. 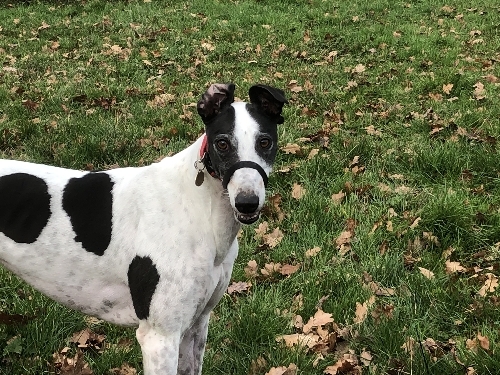 This entry was posted in Greyhounds Needing Homes and tagged Available, Featured, Playful, sea boy, white and black by Lucy.